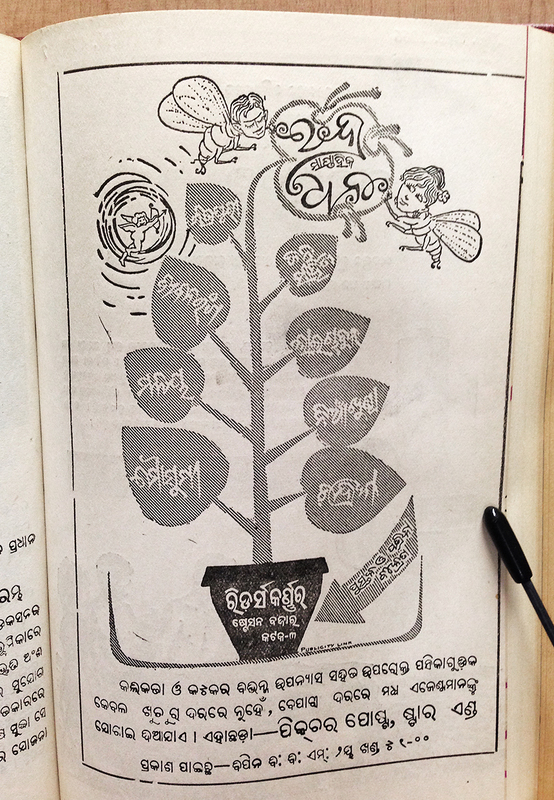 Ad from Jana sāhitya, journal of Odiya fiction. [Cuttack, Jana Sāhitya Prakāśana] 1966. From the University of Chicago Library. The little butterflies (?) 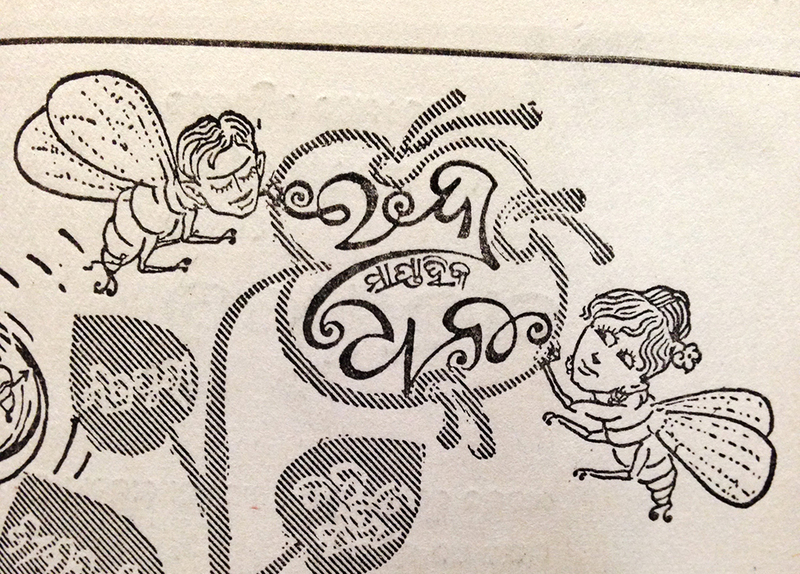 are hovering around a curly, cursive Odia title, ଇନ୍ଦ୍ରଧନୁ ସାପ୍ତାହିକ Indradhanu Saptahika, the name of the magazine.